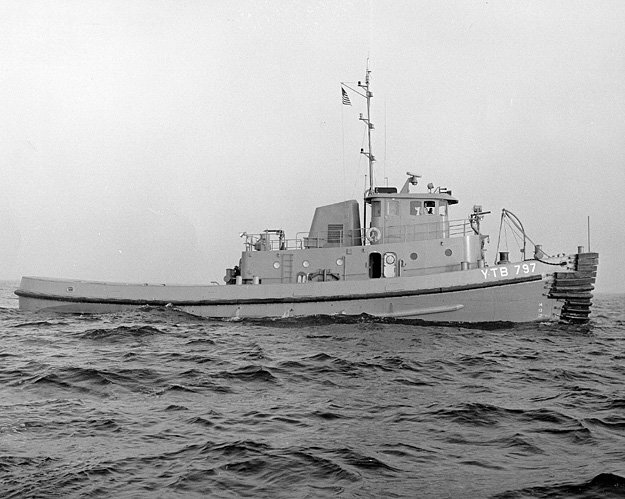 Laid down, 16 January 1968, at Marinette Marine Corp., Marinette, WI. 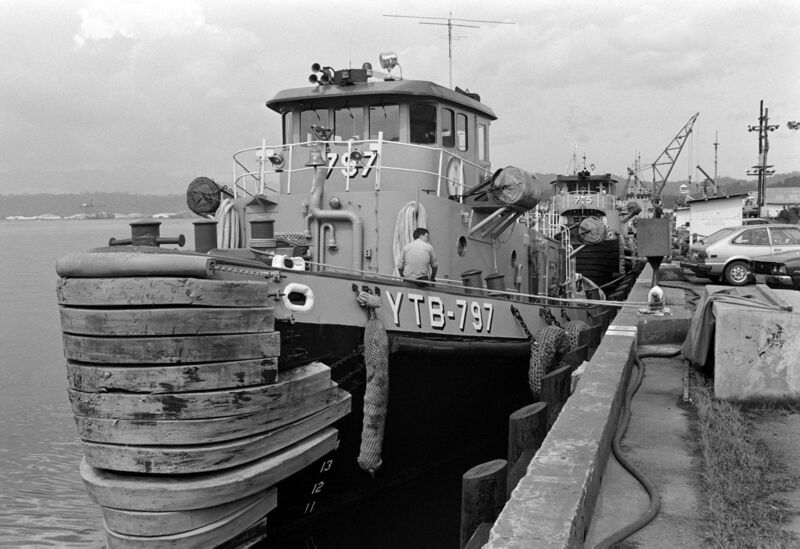 Placed in service 26 January 1969, as Tamaqua (YTB-797) assigned to Naval Base Subic Bay, P.I. 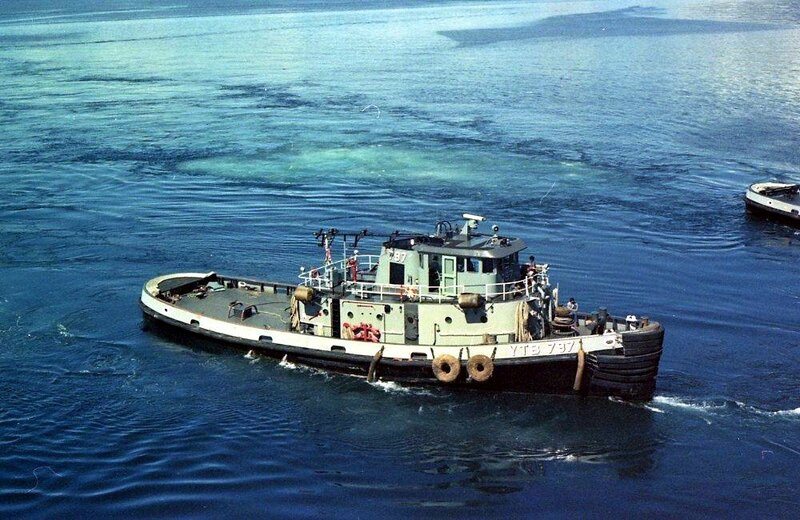 69k Tamaqua (YTB-797) underway, date and location unknown. 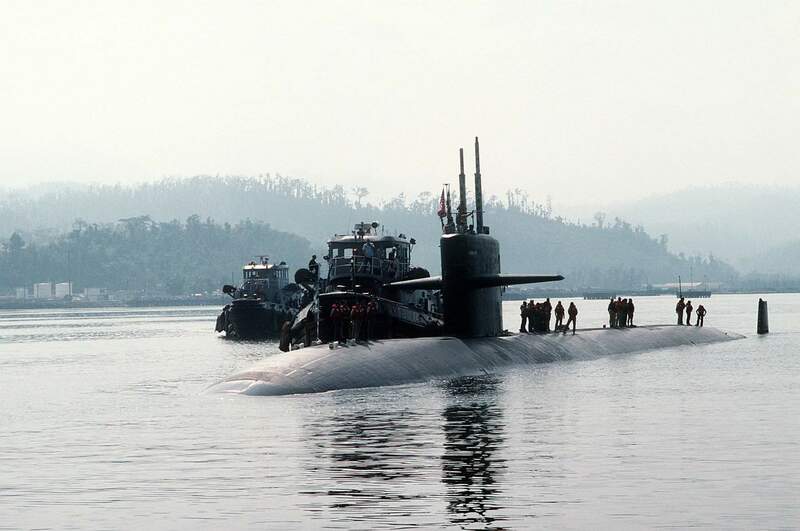 285k Tamaqua (YTB-797) moored at Naval Station Subic Bay, P.I., 26 October 1983. 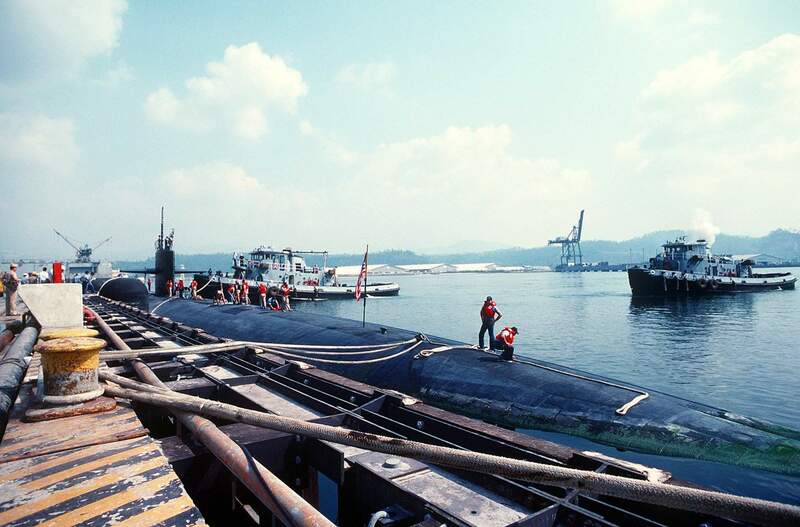 176k The nuclear-powered attack submarine USS Indianapolis (SSN-697) pulls into port assisted by the large harbor tugs Nashua (YTB-774) and Tamaqua (YTB-797), 21 February 1992. 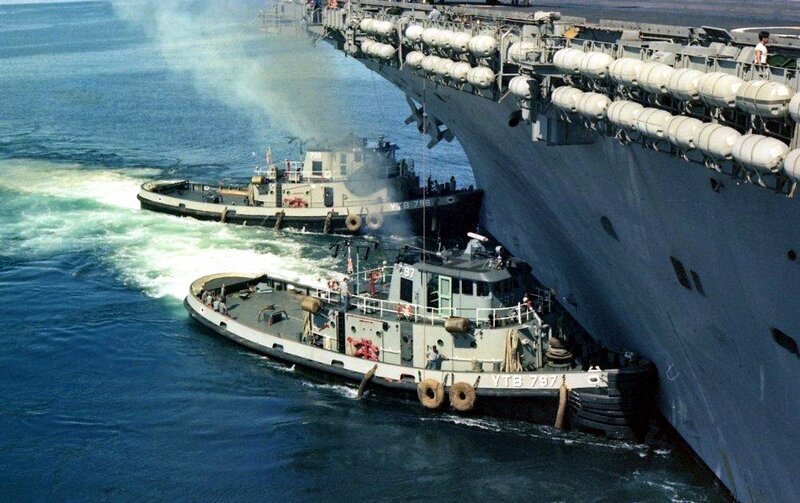 Defense Visual Information Center photo # DN-ST-92-06636 by JO2 Roger Dutcher, courtesy of dodmedia.osd.mil. 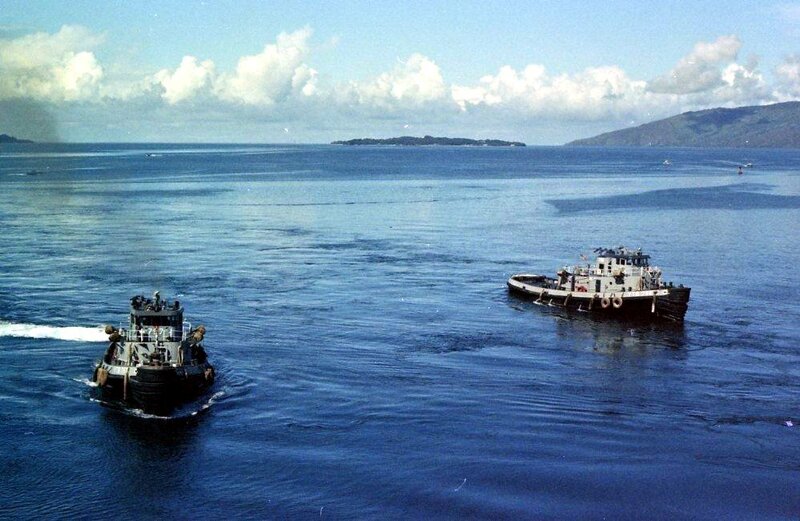 220k Crew members on the deck of the nuclear-powered attack submarine USS Indianapolis (SSN-697) position mooring lines after the submarine pulls into a berth at the pier, assisted by the large harbor tugs Nashua (YTB-774) and Tamaqua (YTB-797), 21 February 1992. Defense Visual Information Center photo # DN-ST-92-06637 by JO2 Roger Dutcher, courtesy of dodmedia.osd.mil.